Our theme for the 2018-19 year is "Hope..." -- Click on More...above, go to Membership and join today! 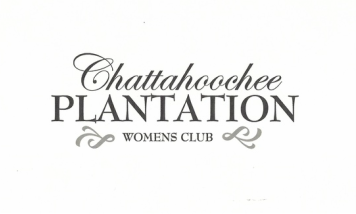 We are a non-profit women's organization based in Marietta, Georgia. We are dedicated to community service and and maintaining a strong social network in our neighborhood. purpose was to "Beautify the Community". make the club welcoming and interesting to a variety of different individuals. Because of the growing size of our community and surrounding neighborhoods, it is necessary to restrict our membership to the boundaries designated in our by-laws, as described following. The boundaries shall now be defined as the entire area known as Atlanta Country Club Estates, Columns Drive (and all off-shoots) from Johnson Ferry to the bridge on Columns Drive, Paper Mill Road (and all off-shoots) from Johnson Ferry to the bridge at Sope Creek (including all off-shoots to the South and off-shoots to the North between Woodlawn drive and the bridge at Sope Creek. If you live within our boundaries and are interested in joining please contact our Membership Chairperson at mailto:susanann.weinstein@gmail.com or click here for a membership form. Beginning in 2018, a limited number of people who live outside the designated CPWC boundaries may join if sponsored by a resident member in good standing. Please contact any member for more information.